Even as buyers flock to SUVs and crossovers, the hot hatchback wars have only gotten crazier in recent years. We live in a golden age when we Americans can buy once-forbidden fruit like the Ford Focus RS and Honda Civic Type R, to say nothing of perennial favorites like the Volkswagen Golf R. But what does Mini have to say about all this? 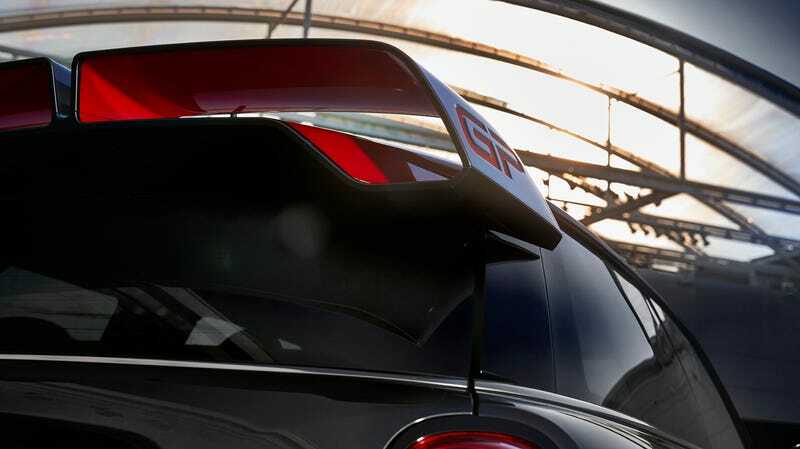 Enter a new generation of Mini John Cooper Works GP, this time with a lot more power—and not many cars made. Mini today confirmed what we all knew for a while: that a new GP will be revealed soon, probably at the New York Auto Show in April, and most importantly its power output. That figure puts it about on par with the Type R at 306 HP, but below the Focus RS at 350 HP—though it’s still considerably smaller than both. No substantial pictures have been released yet beyond that shadowy teaser of a wing, but I don’t think it’ll skimp on the extreme looks. Above you can see the GP concept from 2017. Maybe that gives us something to work off of. No word on any other details at this time, including gearbox and drivetrain layout, though we do expect the rear seat to be deleted like the previous two generations of GP. And like those cars, it’ll be super limited production—only 2,000 of each were made, but they were all complete riots to drive and are something of collector’s items today. This should be fun. Small performance cars need all the help they can get right now, and so does Mini as a brand as it struggles in the SUV apocalypse. Not a lot of people will own the GP—or get what it is—but those who do should be in for a good time.